View More In Suspension Tools. 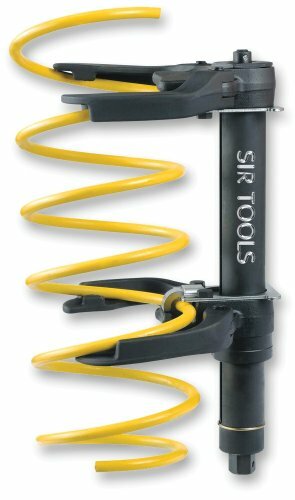 Sir Tools ST Portable Strut Compressor is a exclusive self contained compressor which is designed with fully adjustable jaws. It is portable and convenient to use as well as has a wide coil spring and strut application range. This compressor is solid as work station models and is equipped with the first of its kind, exclusive safety latch mechanism.